Harvard’s endowment operation will undergo major changes under its new chief executive, N.P. “Narv” Narvekar. In a massive overhaul of the Harvard University endowment fund, its new chief executive will lay off half of the investment group’s 230 employees and transfer more money to outside firms, in an effort to boost performance that for a decade has lagged behind rivals. In a letter to staff and the Harvard community Wednesday, N.P. “Narv” Narvekar laid out a future for the $35.7 billion fund that requires far fewer people and less hands-on investing within the walls of the group’s downtown Boston office. Narvekar said that by June, Harvard Management Co. will shut down hedge funds that are run in-house, entrusting more money to independent managers. A highly successful real estate investing group will spin out into its own firm by year’s end, keeping Harvard as an investor, Narvekar said. The endowment’s large natural resources and timber investment portfolio will continue to be managed internally for now, despite losing some top managers in 2015. “My highest priority is to build an organization and investment strategy at HMC that will maximize returns at a level of risk appropriate for Harvard,” Narvekar said in his letter. 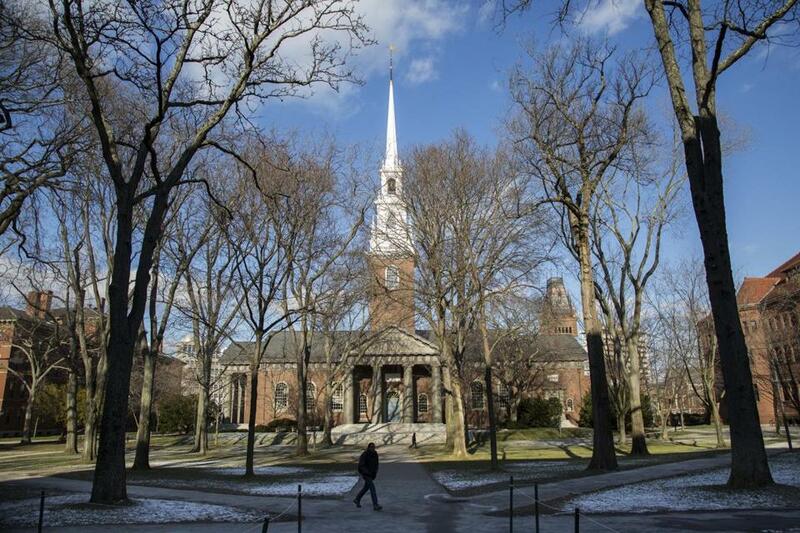 The practice of managing billions of dollars inside the endowment was enormously profitable in the 1990s, but returns in the last decade have dwindled as markets changed and talented managers left the Ivy League school’s fund. Harvard has an annualized 10-year return of 5.7 percent, well below institutions such as Yale University and MIT. It’s even underperformed the 6.9 percent gain in a hypothetical portfolio of 60 percent stocks and 40 percent bonds. In recent years, pressure has been mounting at Harvard to change the way it handles endowment investments. Last year, the endowment staff stopped managing US stocks, outsourcing that work to firms that can do it at lower cost. Narvekar, who was hired from the Columbia University endowment fund, is the third chief executive to take the helm since the financial crisis. While Jane Mendillo steered the group through the deep losses of 2008 and 2009 and sought to cut back on risk, she left after five years, unable to produce returns as competitive as she and the board had hoped to generate. Mendillo’s successor, Stephen Blyth, held the post less than a year and a half before resigning last July after an unspecified medical leave. Now comes Narvekar, the latest to try to beat the odds at the nation’s largest educational endowment. Narvekar faces the challenge of shrinking the fund’s well-paid staff while also rebuilding its culture and delivering investment returns that are large enough to cover more than one-third of the university’s annual operating budget. On Wednesday, he announced the hiring of a new chief investment officer and three other senior executives. Rick Slocum will join the endowment as investment chief in March, moving from the Johnson Company, a family office wealth adviser in New York. The other three executives, all named managing directors, are current or former colleagues at the $9 billion Columbia endowment fund. Columbia posted a 0.9 percent investment loss for the fiscal year ended June 30. Harvard had a 2 percent loss last year, while the $25.4 billion Yale endowment notched a 3.4 percent gain. The $13.2 billion MIT endowment rose 0.8 percent. Some people with close ties to the Harvard endowment say it’s difficult for the fund to beat rivals because of its size. For instance, if a hot venture capital firm does well, a $100 million investment in that fund would make a bigger dent in the overall performance at MIT than at Harvard. An alumnus from Harvard’s class of 1969, long critical of how much the endowment pays its top executives, said farming out more money to hedge funds won’t necessarily better align pay with performance. “Now their compensation will be unknown,’’ said David Kaiser, the alumnus. That’s because when investments are outsourced, it’s difficult to know how much an outside firm is being paid. In general, however, hedge funds earn a 2 percent fee plus 20 percent of profits. Under Jack Meyer in the 1990s, several Harvard investment teams spun out to start independent hedge funds, seeded by the endowment. Some produced strong results, while other failed or petered out later. Narvekar said the flow of Harvard’s money to outside managers “has created a great deal of competition for both talent and ideas,” making it harder for the endowment to outdo them. Beth Healy can be reached at beth.healy@globe.com. Follow her on Twitter @HealyBeth. Correction: An earlier version of this story omitted the first name of a former Harvard endowment manager, Jack Meyer.